The Pedrola circus family consisted of Rudolf and Gerda Mootz and their daughter Dagmar (Beavers). 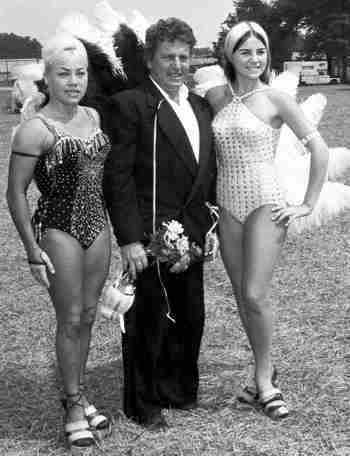 In the late 1940s, circus performers Rudolf, Willie and Peter Mootz along with Gerda Meyer and Beppo Wallenda formed the Pedrolas Troupe. The troupe performed high wire cradle, slide for life and a comedy act. The Pedrolas Troupe toured with circuses throughout Europe. Rudolf Mootz and Gerda Meyer married and became the proud parents of daughter Dagmar who began performing low-wire at age 5. In 1958 Rudolf, Gerda and Dagmar immigrated to the United States and began performing with the Mills Bros. Circus. After several years with Mills Bros. the trio performed with Clyde Beatty Cole Bros. Circus, Sells & Gray Circus, Hoxie Bros. Circus, Circo Atyde, Tom Packs Circus, Polack Bros. Circus and Sarasota's Circus Hall of Fame. On January 14, 2017 The Pedrola Family were inducted into the Sarasota's Circus Ring of Fame.